If you think you may want to join the club, why not introduce yourself on our Facebook page, or come down to our start point outside the Royal Oak in Garstang on a Saturday morning? Our rides start at 9-30am so get there early. We are a friendly club and not everyone is a lycra-clad racer, so don't feel intimidated if you are more leisure cyclist than Olympic hopeful! And all for £10 a year membership- what's not to like? Membership fees are due on the 1st January. The annual fee is just £10 for adults and £5 for juniors under 18, although children of paid-up parents can join free. The preferred method of payment is by BACS, bank transfer or Faster Payments, or whatever your bank calls it. 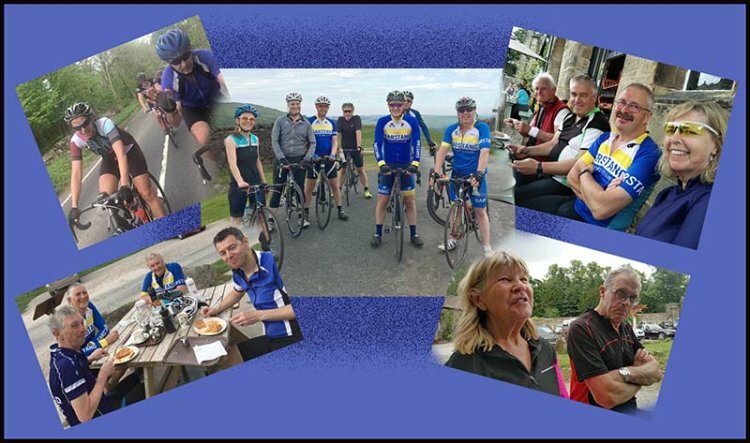 Payments should be made to the account of Garstang Cycling Club (sort code 30-90-87 account number 30046268). If your contact details have not changed at all, you don’t need to complete a membership form, just confirm in the email that that is the case. If you wish to include any children, can you please let me have their names and contact details, if different from yours.